Because of the exclusivity of this tour, it is priced as a “sell out”, meaning no other passengers will be placed on your flight except your party. This tour will accommodate up to 4 passengers at this price, but the price remains the same regardless of how many passengers you have on board. If you would like up to 6 passengers, please call for pricing. Santa’s Mega Tour covers all sites in the Sleigh Ride and Silver Bullet. 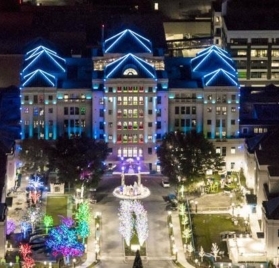 This tour covers a lot of ground starting in downtown Fort Worth, then Fort Worth’s museum district, Texas Motor Speedway’s Gift of Lights, Cowboys Stadium, Ranger’s Ballpark, Six Flags Holiday in the Park as well as all the sights that are seen on all other Fort Worth-based holiday light tours. Interesting highlights of this tour are the incredibly well-done neighborhoods in Westlake, Trophy Club, Southlake, Flower Mound, Colleyville, Bedford and Interlochen, among several “hidden gems” that you would have never known about. This tour is “private”, meaning no other parties will be on board. Santa’s Mega Tour covers all sites in the Sleigh Ride and Silver Bullet. Sure to please any Christmas light addict, this tour covers a lot of ground. 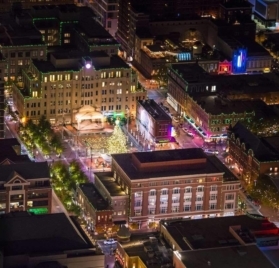 After departure from Addison, we fly over all the best and brightest neighborhoods in Dallas, Fort Worth and surrounding areas. 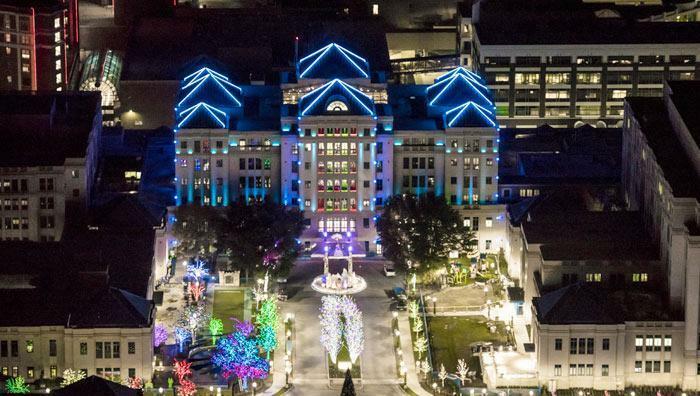 Both downtown Dallas & Fort Worth will be seen, Fort Worth’s museum district, Texas Motor Speedway’s Gift of Lights, Cowboys Stadium, Ranger’s Ballpark, Six Flags Holiday in the Park as well as all the sights that are seen on all other Addison-based holiday light tours. 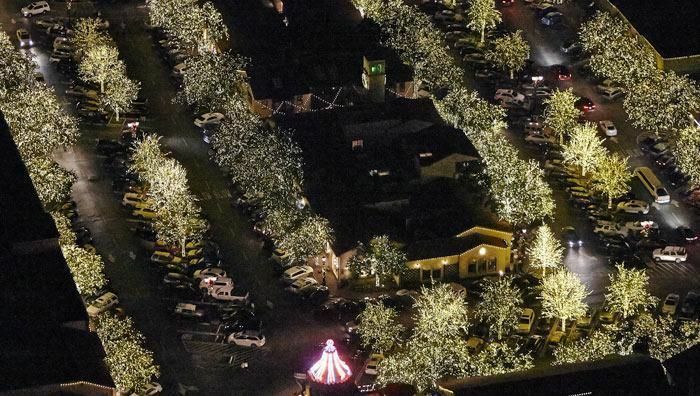 We guarantee the best neighborhoods, especially some incredibly well-done areas in Westlake, Trophy Club, Southlake, Flower Mound, Colleyville, Bedford and Interlochen, among several “hidden gems” that you would have never known about. This tour is “private”, meaning no other parties will be on board. Night tours are where it's at! I thought it would be too dark to see anything, but this tour was more than I could have asked for. Our pilot was funny, the aircraft was clean and the waiting area very nice. Top notch service by Team Epic! Jeremiah P.
Holiday Light Tours are priced per person unless you purchase a private experience whereby you are buying out the other seats on the flight, or if you purchase the Santa’s Mega Tour, which is priced for a group of up to 4 passengers and is private by default. Helicopter tours are great for corporate events, birthday parties, fundraisers, bachelor/bachelorette parties, family gatherings or other special occasions. Tours can be conducted away from Epic’s home base provided there is a safe landing zone and we have written permission from the land owner. Your booking agent will be able to handle these items for you. Ensuring the highest level of safety is our goal. We provide trained ground crew for loading passenger groups safely and efficiently. We have hosted small groups and groups as large as 300 people. Our Fort Worth facility has an observation room for rental with a view of the flight line available for hosting catered events for up to 150 people. Payment in full is required at the time of booking. We accept MasterCard, Visa or cash. 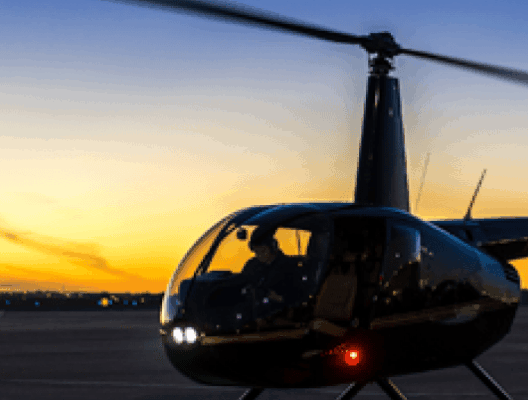 Helicopter tours depart from and arrive back to either Addison Airport or Fort Worth Meacham Airport unless a custom flight itinerary has been arranged such as landing at one of our restaurant or hotel/spa partners. Check out the Helicopter Charters section for more info about point to point helicopter charter service. We encourage you to arrive 15 minutes prior to your departure. There will be some paperwork and a safety briefing conducted before your flight. Of course! Bring your camera so you can enjoy the memories. While still photography is allowed, video recording is not allowed. Bring your playlist along with your favorite songs and we’ll pipe your music through the headsets. If your phone requires a special adapter, please bring it along. If you would like, you can listen to your pilot interact with air traffic controllers instead. We’ll leave that choice up to you! Can I Add an Upgrade to Any Tour? Yes. Some tours have upgrades you can select during the online checkout process, such as an extension of flight time to see more landmarks, an apparel purchase, photography package or Epic wine glasses. For upgrades that involve landing anywhere other than the point of departure, we recommend you review our Helicopter Charter options and make a charter booking inquiry. We are happy to accommodate your requests to make your flight unforgettable. Can the Helicopter Drop Us Off at Dinner or Somewhere Else? We offer many signature helicopter charter arrangements that are quoted based on your required itinerary and number of passengers. You can use the helicopter charter reservation form to let us know what itinerary you have in mind. If you need help with ideas, we have plenty of them. Dinner dates, BBQ fly-in lunch, private remote picnics, spa and resort getaways and more! Just call to learn more. 817-625-1800 or 214-296-2289. How Old Do Children Need to Be? Children under 13 must be accompanied by at least one adult. Younger children will need to wait until their 4th birthday to experience an Epic Helicopters tour. 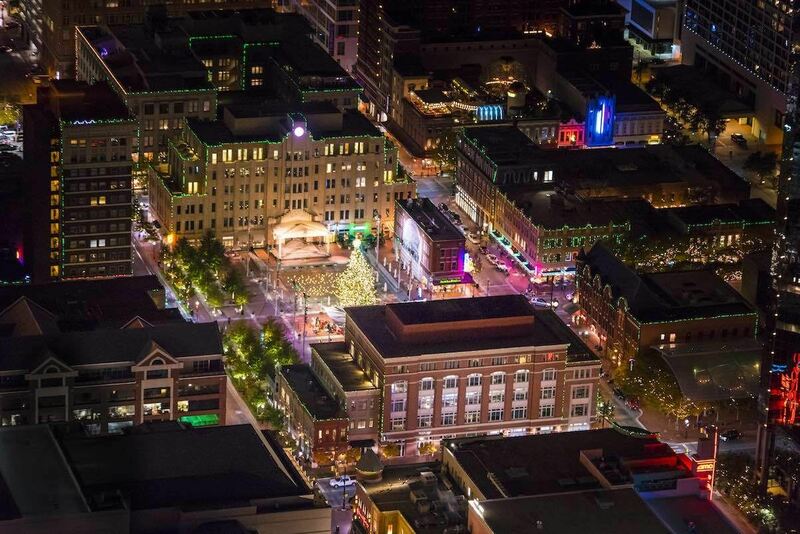 Can I Apply Any Gift Certificate Toward a Helicopter Tour? Yes. Simply call the office for redemption. Please be sure to bring the gift certificate with you the day of the tour or credit cannot be applied. Refunds will be processed less a $25 flight cancellation charge deducted from the refund amount. Refunds processed within 72 hours of the reservation time will incur a $100 flight cancellation charge deducted from the refund amount. Any flight may be rescheduled to a different date or time without penalty and subject to availability. Alternately, the account balance may be converted to a gift certificate for a discovery flight or helicopter tour without penalty. Unfortunately, we cannot issue a refund on certain upgrades requiring special arrangements. Please note that all gift certificate sales are final. On rare occasions, a flight may be cancelled or postponed due to airspace restrictions, weather or other reasons out of our control. You will be notified by phone in a timely manner if this situation occurs. Sometimes, weather-related postponements will delay your departure a few hours. Your pilot will make this decision and ask whether you would like to delay departure or re-book the flight for another time at no charge. Flight routes may vary due to air traffic control, weather, flight restrictions or other reasons beyond our control. Bad Weather or a Windy Day? Your pilot is a trained weather observer that will decide whether the flight will launch based on available weather information. Generally, flights will not launch when there is widespread thunderstorm activity, lightning in the vicinity, low visibility, low cloud ceilings or extreme turbulence. If a flight is cancelled or postponed, we try our hardest to notify you by phone 2 hours before the flight. In the event the flight is canceled for that day, Epic Helicopters will keep your balance on account and the flight will be rescheduled by a booking agent who will be in touch with you the following business day. Acceptable passenger loads change depending on how much fuel weight is carried onboard for your flight. Because this is different each flight, leave the complicated weight loading to us. In general, you should know that each passenger and their belongings must weigh 300 lbs or less. The total weight of all passengers is subject to limitations depending on fuel weight onboard. Try to have your passenger names and weights available at the time of booking. If passenger weight information is not available at the time of booking, you may book the flight, but we will need passenger weights 48 hours prior to departure. Your booking agent will inform you if the total passenger weight for your flight is not within limits. What’s the Difference Between Airplane Tours and Helicopter? Quite simply, it’s what you get to see. 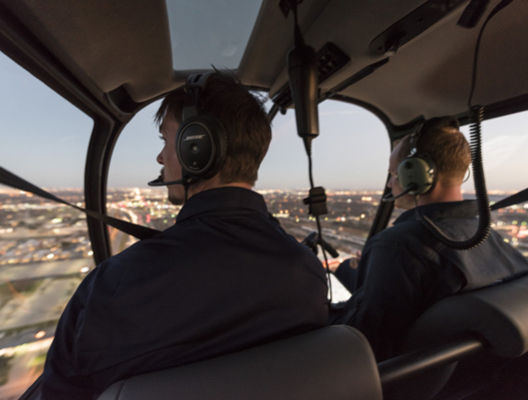 Helicopters are authorized to fly at lower altitudes and the visibility from a helicopter is superior with every seat having an unobstructed view. Helicopters also have access to airspace that airplanes do not, such as close-in fly-bys of downtown Dallas below building tops or flights right down the middle of DFW airport.